January 29, 2013 By This post may contain affiliate links. 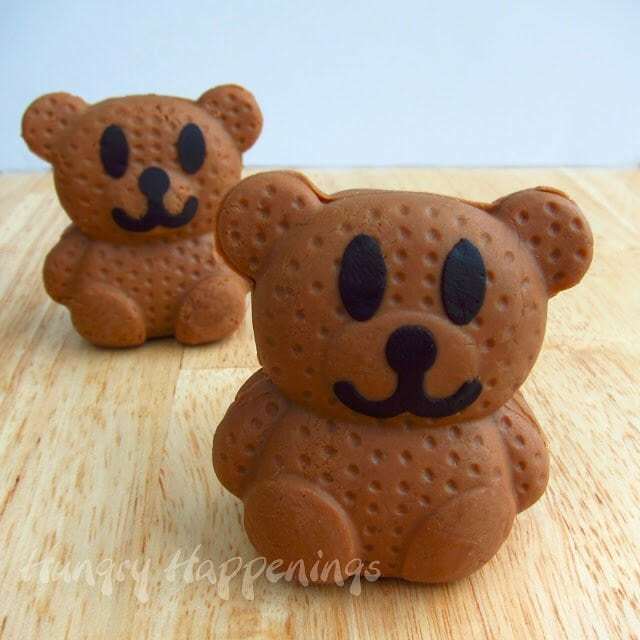 These Sweet Little Caramel Chocolate Fudgy Bears may look just like some teddy grahams. But when people bite into them they will be pleasantly surprised with a mouthful delicious, mouth-watering fudge. Are you familiar with Bento, the incredibly creative meals common in Japanese cuisine? I wasn’t until I began blogging about edible crafts and spending much of my time gawking at artistic foods on-line. The art of making lunch boxes filled with elaborately decorated rice bears, cartoon character sandwiches, heart shaped hard boiled eggs, and carved vegetables is awe inspiring. I work and eat at home most days and aside from an occasional picnic, I don’t pack lunch or dinner for anyone, so bento making has just been something I have been admiring from afar. I’ve spent afternoons looking at the works of imaginative bento makers and perusing the products they use to make their food come to life. Last week I discovered BentoUSA and I couldn’t pull myself away from their site. I have a wish list a mile long of fun products that I can’t wait to try out. 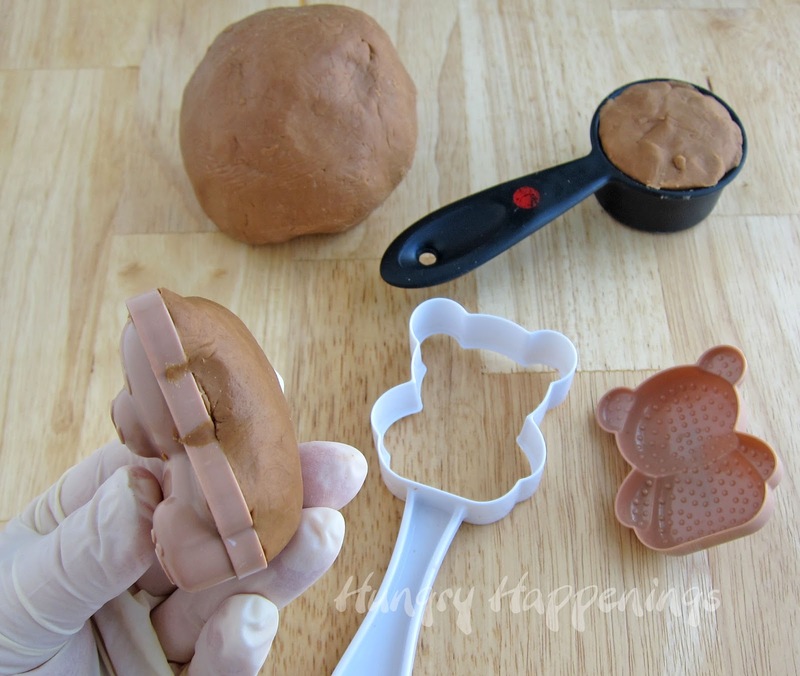 For this project I used a plastic teddy bear shaped mold that is usually used with rice. It worked perfectly with my caramel modeling chocolate recipe that is made with Dulce de Leche (caramelized sweetened condensed milk) and milk chocolate that I’ve also used to make Chocolate Caramel Pumpkins and Inside Out Chocolate Caramel Apples. I also used a punch that is typically used to cut sheets of nori. I cut frosting sheets instead. BentoUSA has all sorts of molds in various shapes and sizes, so even if you don’t want to make bears, you can make dolphins, flowers, pigs, fish and more. The set I used even includes a bunny rabbit which I’m excited to use for an Easter project. Using the molds, I spent less than 15 minutes to shape all of my bears. 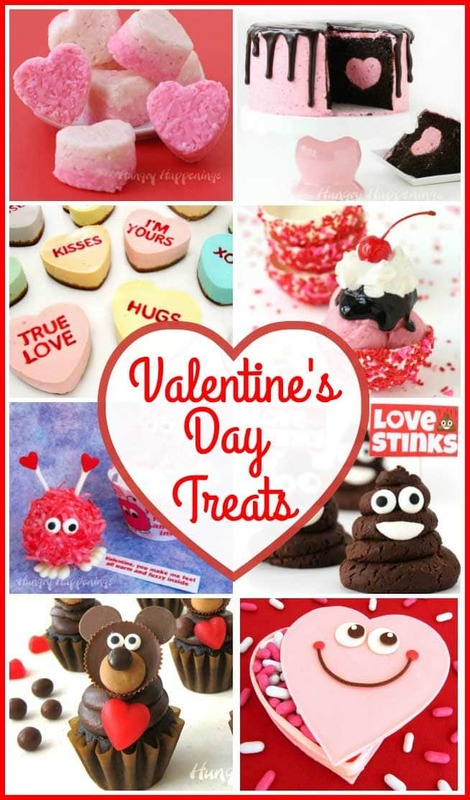 These are a super simple and quick Valentine’s Day edible craft. 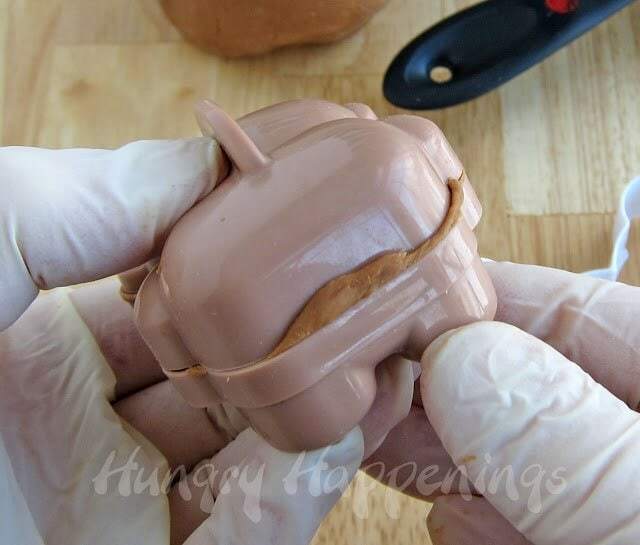 *You can also just color some of the caramel modeling chocolate with black food coloring or some cocoa powder then roll it out thin and use the cutter that comes with the teddy bear rice mold to cut the face. 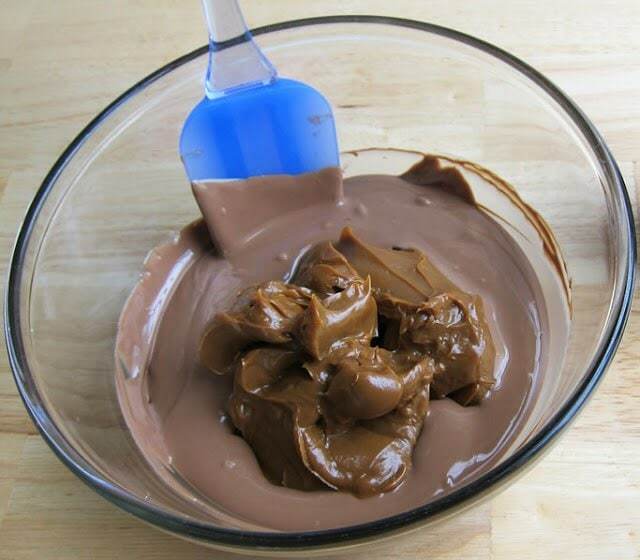 Finely chop the milk chocolate. 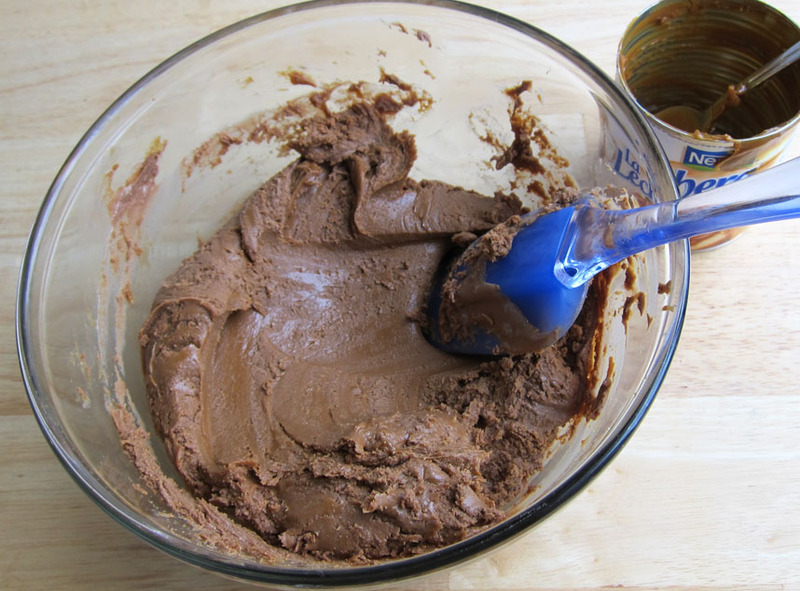 The mixture will thicken very quickly, but you need to make sure all of the caramel is mixed into the chocolate, so use your hands if needed. Once well mixed, wrap it in plastic wrap and let it rest for at least 30 minutes. When you unwrap it, knead it in your hands until smooth, about 30 seconds. Divide the caramel modeling chocolate into 9 pieces (about a heaping 1/4 cup.) Press one piece into the front of the teddy bear mold mounding it up on the backside. 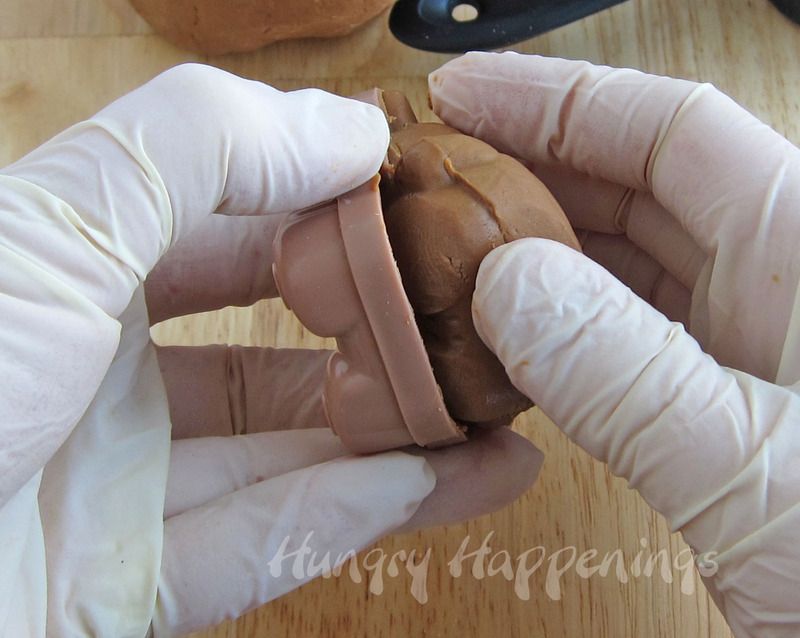 Press the back side of the bento bear mold over the caramel modeling chocolate. You can, if you want, put the front side of the mold in the white holder to keep everything straight then you can press in the back part of the mold. I found I really didn’t need it, though. Squeeze the two sides of the mold together until the edges touch. 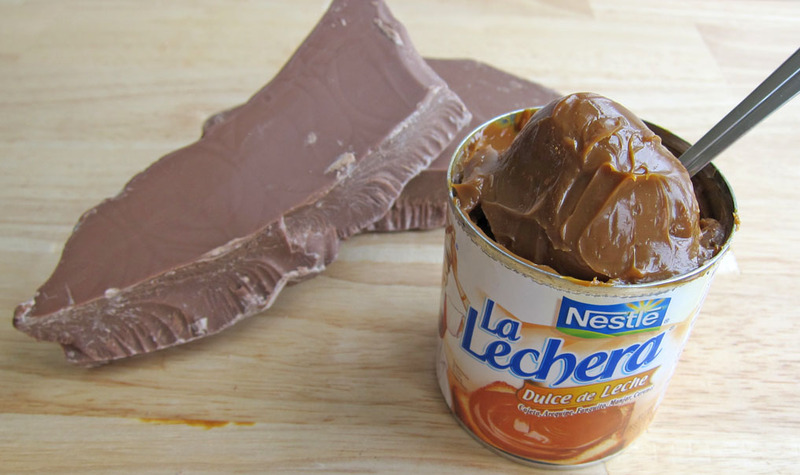 Remove any caramel modeling chocolate that has oozed out. 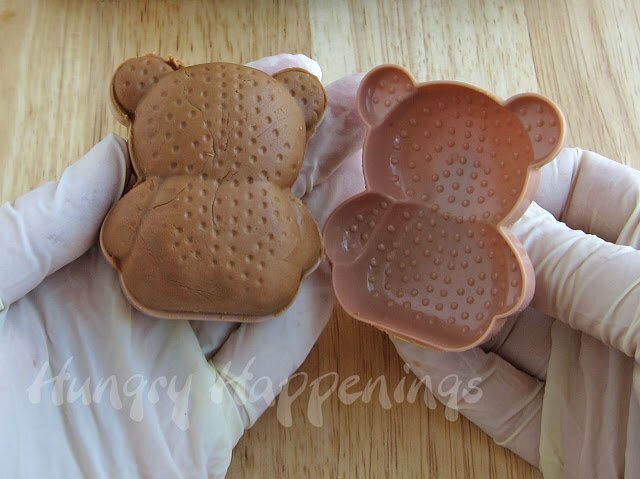 Remove the back side of the teddy bear mold. Your chocolate bear should have little dots all over it. It it doesn’t, you didn’t use quite enough of the caramel modeling chocolate. You can just re-roll it and mold it again. 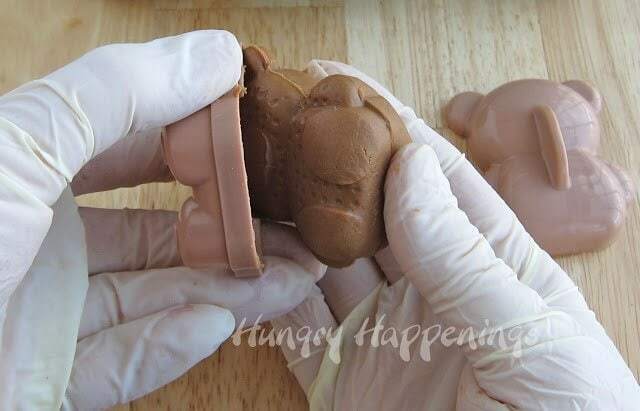 Gently tug on the chocolate bear, peeling it away from the front of the bento bear mold. 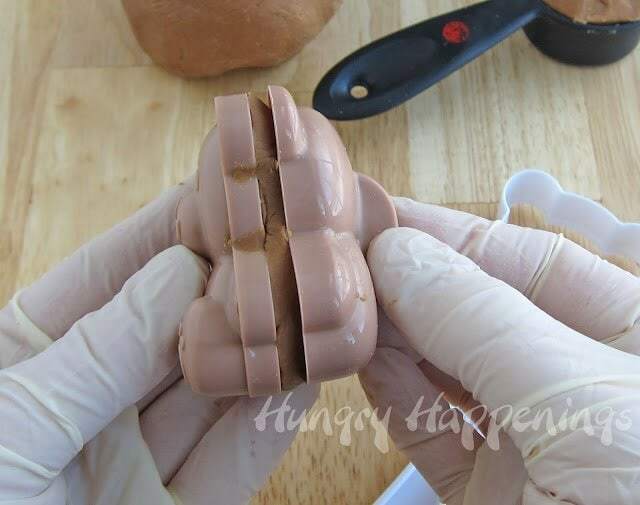 Pull the chocolate bear completely out of the mold. Smooth out any rough edges. Use a nori punch with a bear face to punch out a dark brown or black frosting sheet. Press the eyes and mouth onto each of the bears. If you look at the picture at the very top of the blog post, you’ll notice one bear has a different face. I used a different punch. At the bottom of the post, I’ve shared links for three sets of punches, each has three different faces that can all be combined to make many different faces. 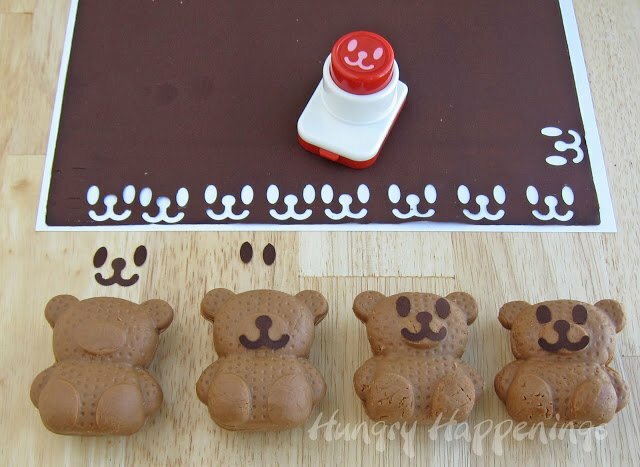 If you have chosen to color some of the modeling chocolate with food coloring or cocoa powder, dust your work surface with some cocoa powder, roll it out thin, and use the cutter that comes with the teddy bear rice mold to cut the face. You can press the pieces on the bear. If needed use some corn syrup to make them stick. Bento USA provided me with free products in exchange for creating this recipe post. Those bears are one of the cutest things I've ever seen. No, I've never made a Bento. I've started hearing about it since I've been reading more blogs. Those are so cute! No cooking really so I just love it!! I have never used a Bento, but these are sooooo cute! My daughter would love these. Thanks! The rice panda bears would be so great! These are great! Perfect for our Valentine countdown craft bags! These are so cute! What a great idea for an easy, take along treat! I would love to make these for a birthday party favor! 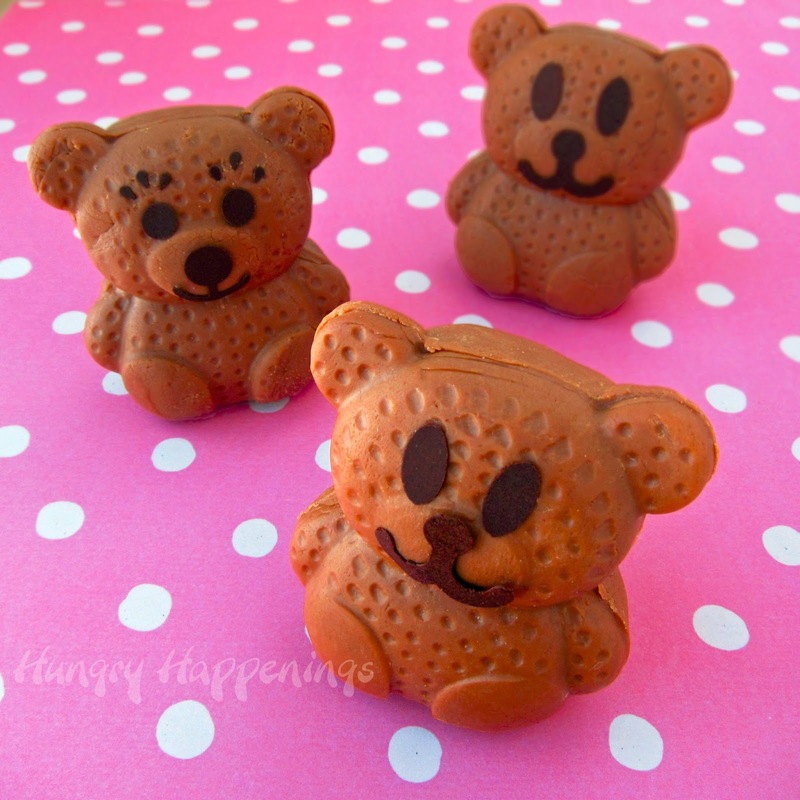 As adorable as the bears are, I'm looking forward to trying the Caramel Molding Chocolate! Looks delish! So perfect for sushi night! Thanks for the great giveaway! Allison – I have never made a bento, but there are many places to get them in HI. What a cute idea! You do the neatest work. I love the way you are so clever!!! 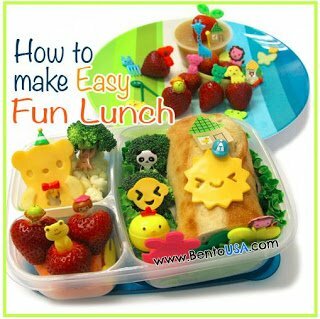 I have never made Bento, but this looks so fun! I have never used anything Bento yet, but I would love too!